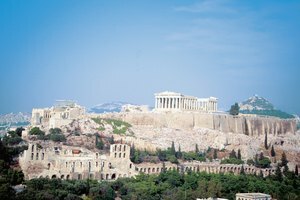 Modern-day democratic governments owe a lot to the democracy of ancient Athens. This early attempt at a fair and equal government run by the citizenry was unprecedented, and it served as a model for all the democratic governments that came after it. Though there are many significant differences between the direct democracy of Athens and the democratic republic of the United States, many aspects of Athenian government look very familiar to us. Oppressed by the oligarchical rule of a handful of aristocrats, the ancient Athenians sought a government where all citizens would determine how the state was run. Oppressed by the tyrannical rule of a remote monarch, the newly declared Americans sought the same remedy, albeit in a slightly different form. 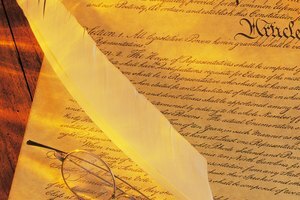 It's clear when looking at the U.S. Constitution that the Founding Fathers were inspired, at least in part, by the democratic institutions of ancient Athens. Despite their similarities, however, the governments of ancient Athens and the United States are fundamentally different. 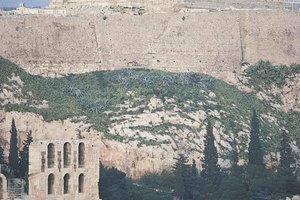 Ancient Athens was an extreme example of direct democracy, in which every citizen was eligible to vote on nearly every decision made in government, and all officials were decided by random lot. The United States, on the other hand, is a republic, in which citizens elect officials to represent them, and the representatives do the majority of lawmaking and governing. In ancient Athens, legislation was created and enacted by the Assembly, which was made up of every citizen who wanted to attend and met 40 times a year. The number of eligible citizens ranged from 20,000 to 60,000, and attendance was usually about 6,000. Anyone who wanted to could speak at an assembly meeting. A council of 500 full-time representatives, chosen each year by lot, could also issue preliminary decrees and was responsible for setting agendas for assembly meetings. The U.S. Congress takes the role that the Assembly and Council of 500 did in ancient Athens, proposing and voting on legislation in a similar way, but it is, of course, made up of a much smaller body of elected representatives than the Assembly. Ancient Athenian trials were heard by a randomly selected jury of between 200 and 6,000 citizens. Potential jurors volunteered for duty at the beginning of each year, got into the juror pool by lot and were assigned randomly to a case each day when they presented themselves for service. Cases were presided over by lay magistrates, also chosen by lot, who had no formal training and could not make decisions regarding cases, juries or testimony. While U.S. courts have much smaller juries, a much more regulated process and much more powerful judges, the basic idea of a fair trial by jury is the same. The Founding Fathers and the ancient Athenians also seem to share some of the same prejudices and shortcomings when it comes to establishing democracy. 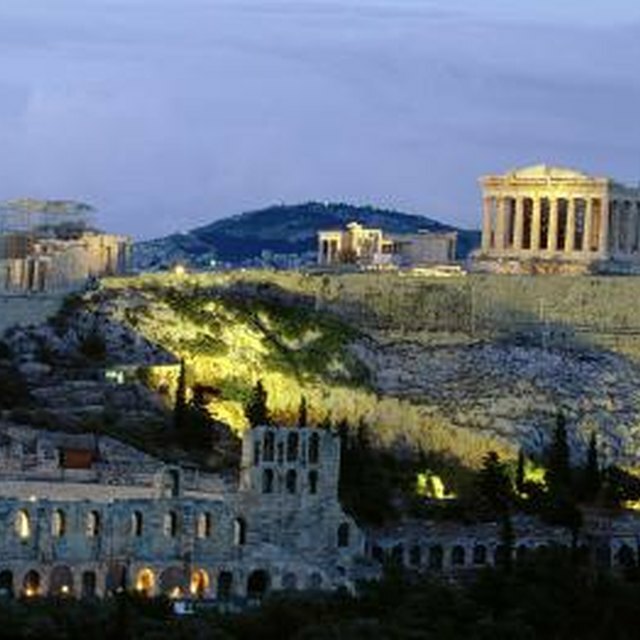 In ancient Athens, only free males of Athenian descent were considered citizens. This excluded all women, slaves, resident aliens and even men who had a foreign-born parent, limiting government participation to approximately 10 to 20 percent of the population. The U.S. Constitution also originally denied representation to women and slaves, disenfranchising a large portion of the country's population. It took the next 150 years to expand rights to a point where it could be considered truly democratic by today's standards. The government of ancient Athens, which only lasted 150 years, never had that chance. Wilde, Amy. "Relationship Between Ancient Greek Democracy & American Government." 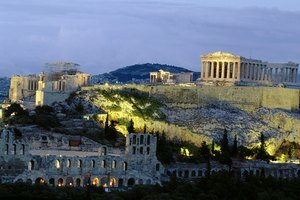 Synonym, https://classroom.synonym.com/relationship-between-ancient-greek-democracy-american-government-8053.html. 26 June 2018. 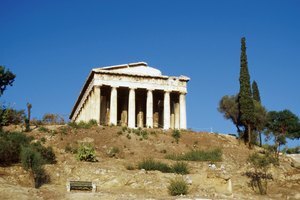 What Is the Difference Between Ancient Greek Government & America's Government?